Bot Chien — Rice flour cakes are sticky, thick, and starchy are popular with both the afterschool and the after-midnight crowd in Vietnam. 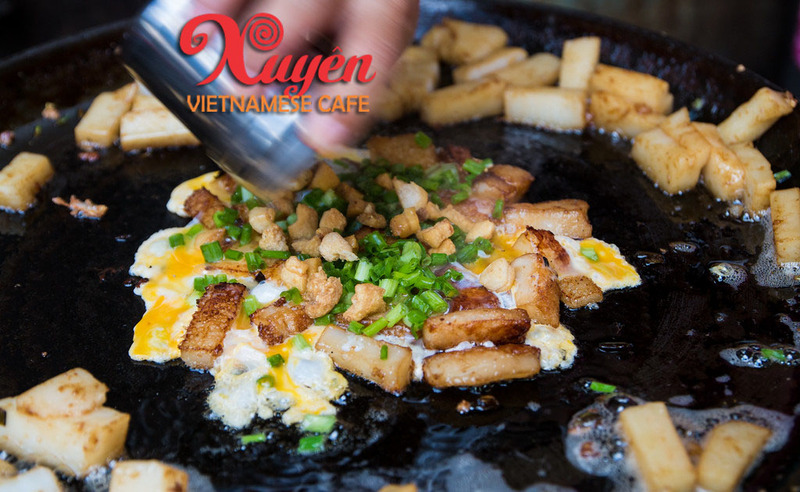 Chunks of rice flour bread are fried in a large wok until crispy and then an egg is broken into the mix. As it cooked, served with slices of papaya, shallots and green onions. More flavor is added with pickled chili sauce and rice vinegar. The Bot Chien is as awesome, greasy, and tasty as it looks. The rice cakes usually are slightly crispy on the outside edges, but smooth and creamy on the inside, and slightly sticky. The egg, coated each nugget of rice cakes, and you can really taste the green onions, and the fresh green papaya on top. And the dark sauce at Vietnamese Café is very mellow, not too strong, but just slightly sweet, salty, and sour, all three flavors almost even and balanced. 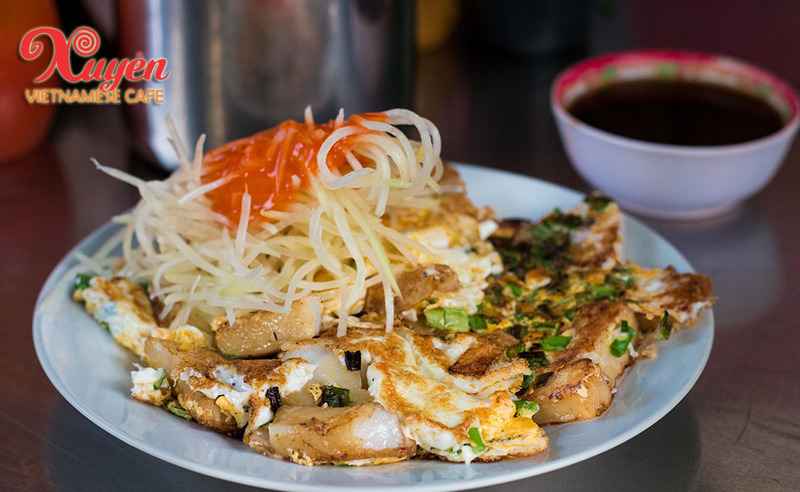 It is kind of like a hash-browns omelet, only Vietnamese street food style. Vietnamese Bot Chien is served with a handful of fresh and crisp green papaya on top. Bot Chien is very rich and quite oily, so that bit of green papaya made it a little less heavy, and sort of balanced out the oiliness. 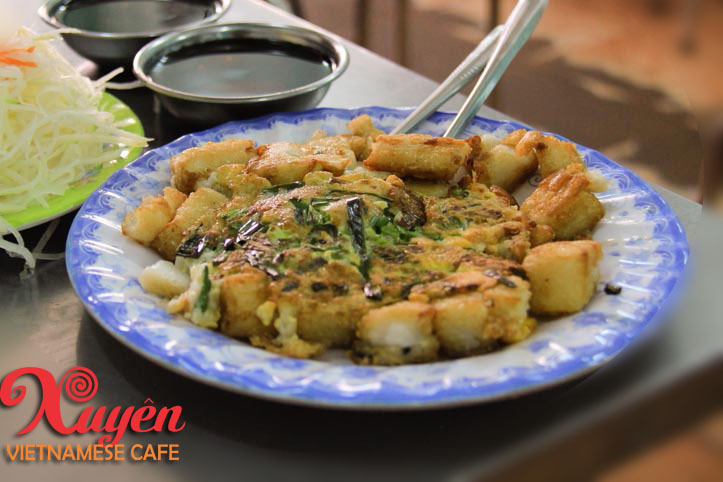 BOT CHIEN (bột chiên) is the Vietnamese version of chai tow kway, rice flour cakes that are fried with lots of oil, topped with an egg, and served with a sweet and sour soy topping sauce. The snack or light meal, is very popular, and widely available throughout Vietnamese City Saigon, especially as a street food.